Improvisation, Melodrama and Comedy took over the Canal Café Theatre tonight as 14 young, female actors stormed the 60-seat theatre. Located in ‘Little Venice, London’ a beautiful venue above the ‘Bridge House’ pub hosted this enjoyable night of entertainment. This new event began in June 2018 and it is a way to get actors a chance to be seen on stage. Each performer has trained within this industry and ‘Plug In’ is an event they can put their education to practice. A different approach was taken on by these aspiring theatre practitioners to captivate and satisfy their audience. Monologues and Stand-Up were used in tonight's production and it is safe to say I would go again! They each took on a subtle yet circumstance within their roles which made the audience feel comfortable yet emotional at the same time. Tonight’s show featured the likes of Jenny Cvetoshenko, Harriet Watson, Ellen Lilley, Leonie Carpenter, Francesca Hess, Camila Segal, Laura Jade Clark, Nicole Burns, Alanah Rodger, Eimear Lacey, Lauren Porter, Julia Strassman and founders of the event Olivia D’Lima and Grace Lewis. They each captivated me with their stories and the constant comedy that ran throughout. Personally, I believe that theatre itself is a technique used to entertain and Eimear Lacey did just this throughout her piece as she projected educational facts throughout her monologue ‘A Poem About Pressure Written Under Pressure’. Lacey listed interesting information such as ‘Hanoi being the capital of Vietnam as opposed to famously Saigon’ and how ‘the fastest tube journey is from Covent Garden to Piccadilly.’ Other than facts, there was a truth to this how we all do our best work when put under pressure. Miss Olivia D’Lima then stole the show for me with her ‘Wedding Toast’ monologue which had me laughing until I cried, she explained “Ann hasn’t seen me for 10 years... I’ve seen her!” D’Lima proceeded to describe the times she has seen her ‘best friend’ and all the memories they share such as the time they had a sleepover... the party in the basement and Ann’s ‘first time’. She swiftly ends this humorous speech by justifying why she is there at the wedding, without an invite then clarifies she is a good friend before exiting the stage. Hess then did a monologue called ‘The Wasp’ which changed the atmosphere in the room for a little while. It gave a massive contrast to the previous piece of work and Francesca's acting stayed strong and focused all the way through with both body language and facial expressions helping her describe this period in her life which was traumatizing for her. It was a little uncomfortable to watch and interesting to grasp, however, it kept the audience and understanding towards her character which I felt was a really strong moment for her as an actor. Camelia did her piece on her “” life and explained how she had the idea to get tickets, however, these two ‘friends’ were going to “go” without her. She may have over-used the word ‘go’ in this performance, however the way she vocally carried the performance it didn’t matter because the word was pronounced differently every time which kept myself and the audience entertained. Segal’s reference to painting things was a good reflection of how she saw her life. This piece made me question... Is she joking?? She made constant remarks that she was in fact joking and that everything is okay. The performance left me with the highest respect for Segal as she really made me think and left me with 3 things: GO, GREY AND JOKING? Open-minded, stand-up comedian from Newcastle Ellen Lilley put on a controversial yet seriously hilarious performance as she subtly delivered several jokes about subjects that are and currently a focus point on the news and in everyday life. Originality in dialogue is what makes a performance memorable and Lilley did just that by using her unique ‘stories’ and quite frankly used common factors to make the room shake with laughter. These funny factors worked well to personally connect with the everyday person who lives in London, which arguably left an emotional print in the viewer's mind, this is very important as a performer. Being a fellow northerner, I felt extremely connected and related to a lot of the things she was saying as they are genuine things that get said such as the pronunciation of ‘tour’ absolute class! Alanah Rogers did a monologue stating her young, free and available state, as her outfit choice matched the story she was telling about ‘traffic light parties’. She made it known she was ‘STILL SEEKING’ before she left the stage. Her comedic approach to dating made the audience laugh, again she touched on a subject which everyone has had experience in doing throughout the years. Rogers did have an almost definite stare throughout her performance which made me feel a little uncomfortable at times, however it did go with her character's intention to seem crazy like and desperate so it worked very well. Miss Grace Lewis closed the show with her ‘Easy Jet’ monologue which again was in the sense of how we all have to queue for hours for things such as a plane, bus or train, however the comedy written into this was entertaining to the max, especially being performed alongside Lewis’ exaggerated movement and facial expressions, including the way her vocals changed depending on the characters she was playing. This entertaining piece was about two models trying to cut in line in front of a man within the queue. Dialogue both before and after his response made up this written piece and the audience were in absolute stitches with Lewis’ work and the way it was executed on stage tonight! Overall the show was a massive success and I was to be part of the audience tonight, Julia Strassmann is also worthy of a mention the show wouldn’t have ran so smooth and without her hosting. Strassmann constantly kept the audience amused and involved throughout the show, in-between her introducing the acts. 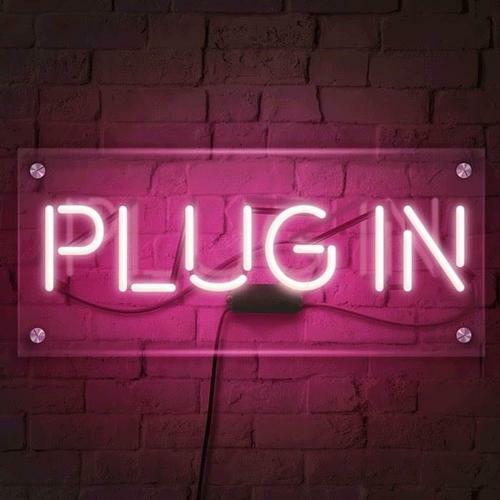 As I previously mentioned ‘Plug In’ started in June this year and will continue to run starting in January 2019. Olivia D’Lima, co-founder of this event explained that they hope to put on one show every two months. I look forward to the next announcement for this uplifting night out.